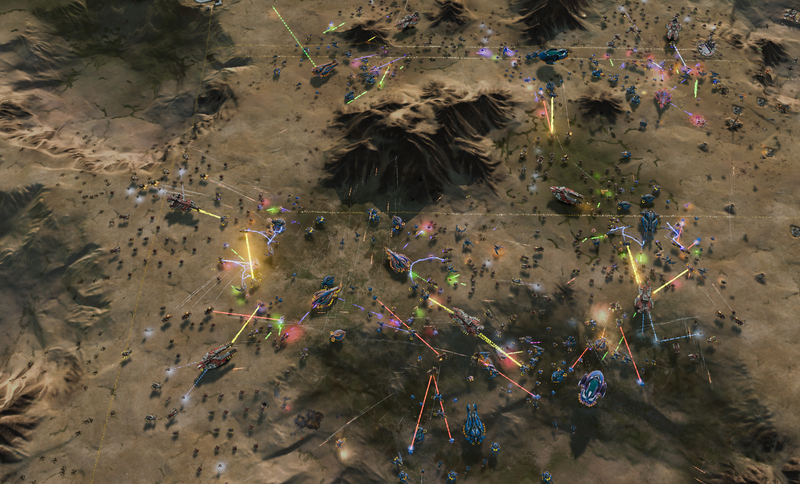 VentureBeat has a great article up today about Ashes of the Singularity. "The game from Stardock and Oxide Games is perhaps the biggest beneficiary of Moore’s Law, the prediction made by Intel chairman emeritus Gordon Moore that computing power would continuously improve at a regular rate. The game allows you to command an army of sci-fi forces against a human or computer opponent in real-time action. I had a hands-on preview of the game that confirmed the title is an exercise in the mastery of top-down strategic management. On Steroids? lol awesome!, well I do have a lot of fun playing this game than Starcraft 2 that's for sure! Really, i find them to be such different games that comparisons are rather pointless. I lean more towards Total Annihilation/Supp Comm on Steroids. SuppComm 1 anyway. I hope Ashes doesnt decide to do SuppComm 2. While the game play was similar, you had to research the same techs every scenario. Why? because maybe the radiation destroyed your memory. Till you were lucky to remember your name? I think it was to artificially increase playtime with less content. There is never any reason you have to relearn everything from one mission to the next. SC Forged Alliance was an almost perfect example of how to do tech trees. Then they regressed for SC 2. Please do not do that in Ashes..